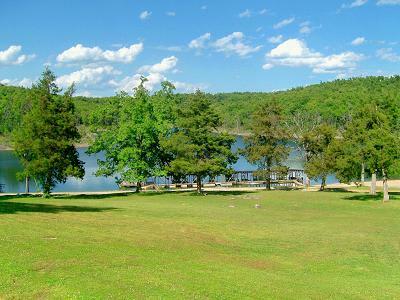 with direct Norfork Lake access. 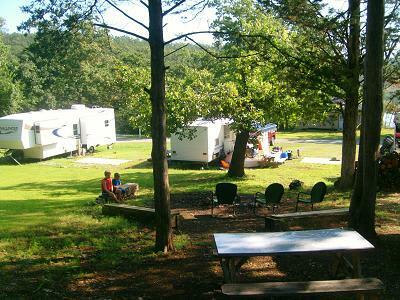 IF IT'S A FULL HOOK-UP RV PARK CAMPGROUND in the Ozark Mountains you’re looking for, Hand Cove Resort and RV Park is the place for you. 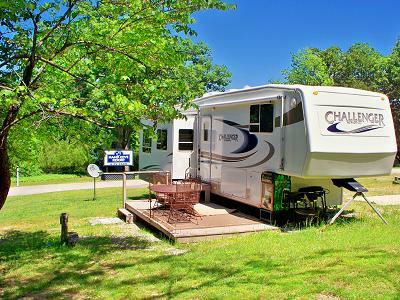 Our 20 sites feature 30 amp electric, water, sewer hook-ups, and wireless internet access. 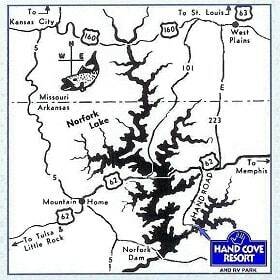 We are the only “on the lake” full-hook up RV Park on Lake Norfork. 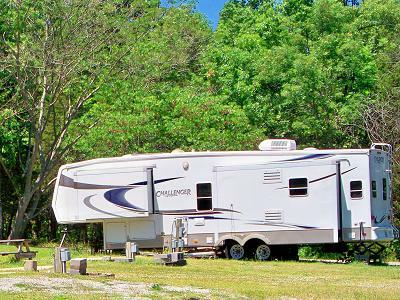 Our sites are best suited for pull behind and fifth wheel campers 34 feet in length or less. We can also accommodate small motor homes. 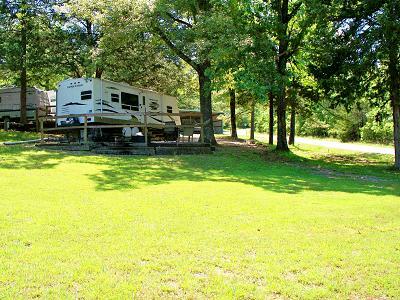 YOUR SITE INCLUDES water, sewer, and 30 amp electric hook-ups, wireless internet access, a picnic table, and access to all of our resort amenities. Some of our sites now have "rear wheel" concrete pads to make leveling a snap. 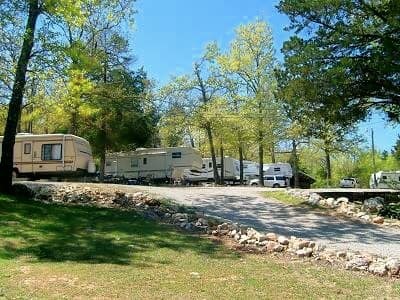 All of our sites overlook our central park like area, the lake, or our cove. Most are shaded by tall hardwood trees. Our sites are best suited for pull behind and fifth wheel campers 34 feet in length or less. We can also accommodate small motor homes. Your camper must have its own bath facilities. All of our sites are "back-in" type. Sorry, there are no tent or pop-up sites.